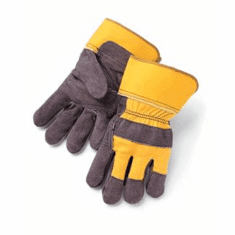 When choosing the gloves that are ideal for providing maximum protection for your workers' hands, there are several things that you should ask yourself before buying a certain type. 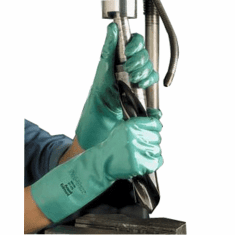 What is the type of the material these gloves are needed for? 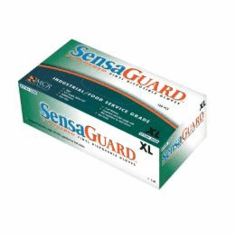 Will you use them frequently or will it be only once in a while? 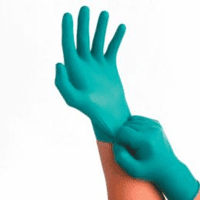 If the gloves are worn frequently, how long are they usually used for; will you need much comfort? 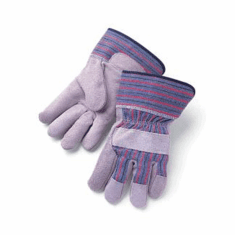 The answers to those questions can help you find the best gloves for your employees. 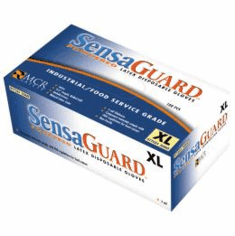 For handling food products, choose gloves which are FDA-approved, such as Ansell natural blue gloves, Ansell disposable nitrile gloves, Ansell nitrile sol-vex gloves, and SensaGuard disposable vinyl gloves. 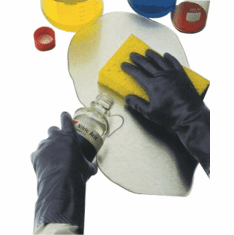 Then, if the materials you are handling are mostly chemicals, choices come in nitrile chemical safety gloves, BEST black knight PVC gloves, and BEST chloroflex neoprene gloves. 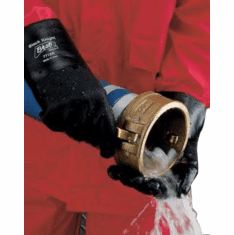 And then, if comfort is what matters the most, these leather palm work gloves and the double leather palm work gloves will certainly do. 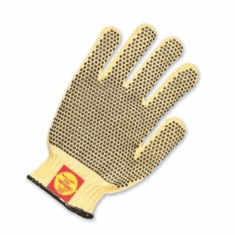 However, if you need more protection than just abrasion and cut resistance, the Perfect Fit Tuff-Knit Kevlar gloves are perfect in giving awesome protection against heat and fire. 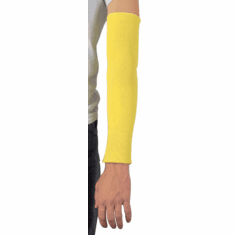 Pair them with the Memphis Kevlar sleeves, you will now have provided the best protection for your employees' hands and arms. 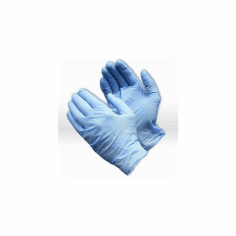 Obviously if you will use the gloves on daily basis, you will want the reusable gloves. 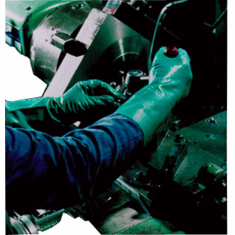 But if you will only use them once in a while, the cheaper disposable gloves could do too. 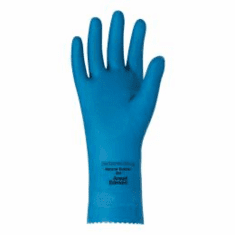 What about checking out all of the gloves we list below?